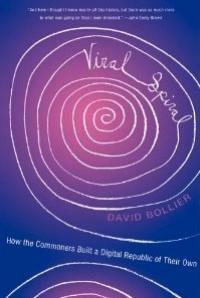 Scholar of networked behavior David Ronfeldt has proposed an idea whose time may have arrived: let’s create a new federated network of commons enterprises called the “Chamber of Commons.” The term is a wonderful wordplay on the more familiar group, the U.S. Chamber of Commerce, the notoriously reactionary business lobby. 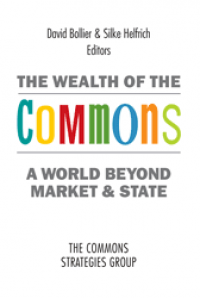 A federation to help advance the commons paradigm and projects is a timely idea, especially in international circles and localities that enjoy a critical mass of commons projects. We’ve already seen in digital spaces the value of mutual assistance rendered by various cyber-tribes to each other (free software hackers, free culture/Creative Commons advocates, open-access scholarly journals, Wikipedians, etc.). There are inevitable tensions and disagreements, of course, but everyone has far more in common than the differences that separate them, and all sorts of innovations erupt. 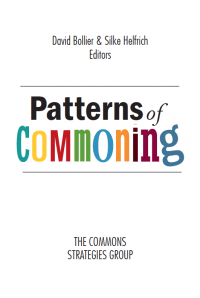 So why not a similar loose (or formal) federation of commons projects? It would be especially exciting if a chamber of commons could begin to span the cultural barriers that divide digital and natural resource commoners, not to mention international political boundaries. It would be great to create a common space for academic commoners and practitioner communities to build bridges, and also those involved in mainstream politics and those in “outside the system” advocacy. Michel Bauwens of the P2P Foundation has proposed a similar set of federations of commons projects at the civic/institutional, economic and regional levels. In a blog post on his proposal (at P2P Foundation website), David Ronfeldt suggested that possible discussants for a Chamber of Commons might include Wikimedia, Google, Electronic Frontier Foundation (EFF), Electronic Privacy Information Center (EPIC), Skoll Foundation, Ford Foundation, Sierra Club, Natural Resources Defense Council (NRDC), Whole Foods, Ben & Jerry’s, Starbucks, Evergreen Cooperatives, Association for the Advancement of Retired People (AARP), American Civil Liberties Union (ACLU), Cleveland Clinic. 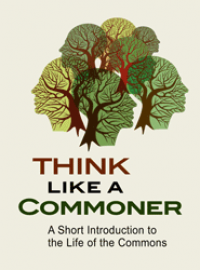 I would respectfully suggest that any parties that enter into a Chamber of Commons have a focused commitment on the commons paradigm and philosophy. It’s imperative that a group of this sort take the commons seriously, and not see the Chamber as an opportunity to wrap themselves in feel-good PR terms. 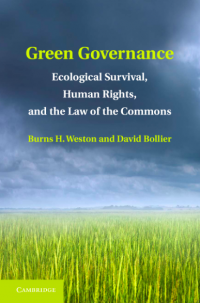 Starbucks, NRDC and Google may host various public-spirited initiatives, but they do not embody with the worldview, logic and operational commitments of the commons. Any Chamber would have to be careful not to be overly prescriptive and PC (politically correct) in its criteria for membership -- yet slack guidelines would only lead to a demoralizing co-optation of the very idea of the commons. The best solution, I think, lies in having serious commoners, as members, decide the criteria on an ongoing basis, and pass judgment on any new members. After all, any participants in such a project would have a big stake in protecting the integrity of the commons concept and its reputation. This “Rogue Valley Chapter” claims a trademark in the term, “Chamber of Commons” (which I could not find in the U.S. Patent and Trademark directory online.) Would this be a problem? 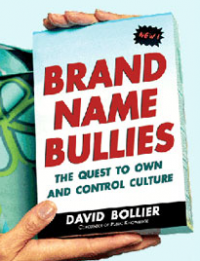 In the end, the important thing is less the name (which in this case, in clever and appealing) than the practice. It’s time for various commons and commons-based businesses (coops, CSAs, etc.) to find ways to band together. We need to create a new focal point for making commoning more visible in an organized way. The mutual support, dialogue and new initiatives could only be enlivening. "We need to create a new focal point for making commoning more visible in an organized way." A network of commons enterprises sounds like the place to start.